Moving up to your dream house? Expanding to make room for your growing family? Downsizing since you’ve become empty-nesters? Opening a Home Equity Line of Credit? Securing your future with investment properties? Freeing up cash for home improvements or a large purchase? Think it might be time to refinance? No matter what you’re working towards, East Lake Lending can ease your worry, stress and hassle and find the right loan solution for you. 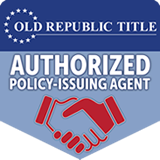 Our reputation and expertise enables us to partner with the most reputable lenders in the industry to offer you the best options available. Saves you time and money – A loan professional shops rates and fees, finding the ideal combination to fit your specific challenges. Protects your best interests – Since a mortgage professional isn’t restricted to recommending one program, they can focus on satisfying your special requirements. The best loan solution isn’t based on the lowest rate alone, and rates change daily. Add in the frustration of comparing lenders with apple and orange programs, and you’ll quickly see the value in finding a loan professional to sort through the points, fees, and fixed versus variable so it makes sense. Your goal should be finding the right lender. Then it’s our job to find you the right loan. Loan professionals with a personal touch. With state-of-the-art technology at our fingertips, we’ll make you feel right at home while handling your loan quickly and efficiently. Tired of voicemail and endless menus? At East Lake Lending, you’ll be greeted by a friendly live voice every time. You’ll appreciate our attention to detail. We’ll do whatever it takes to knock down any walls that stand in your way. From credit to contracts, we keep our eye on the fine print so you can focus on more important things. Out with confusion. In with confidence. The loan process can be complicated. You’ve got questions. East Lake Lending has answers. Better yet, we take the time to explain them in everyday language so you can make informed decisions. We love happy endings. You have enough to worry about without unplanned or last-minute fees. East Lake Lending makes sure you know exactly what to expect every step of the way. So…what are you waiting for? Call East Lake Lending. With East Lake Lending so close to home, you’ll have one less thing to worry about.